Having owned nine different homes since the age of 24, Brandon Fleeman personally understands the art of buying and selling properties. Growing up and walking jobsites with his father, a custom homebuilder, Brandon learned the skills he would need to completely renovate four of his homes. This personal experience and passion has helped Brandon excel as a top producer of residential real estate sales in Dallas for more than a decade. Before becoming a Realtor, Brandon worked in the fashion industry. His experiences at Gap Inc. in San Francisco and Neiman Marcus here in Dallas included buying, management, and financial planning at the corporate level, honing his customer service skills and attention to detail. “I love to market and sell homes because I love to bring out the best through staging, great photography, and presentation,” Brandon says. 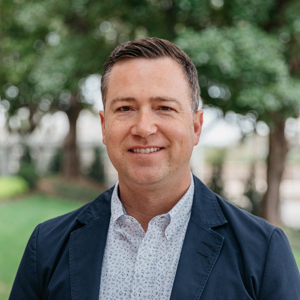 “Having worked at Neiman’s, I know it’s all about presentation, and I bring that to the table every day.” Brandon's strong professional background, preeminent customer service, and extensive knowledge of Dallas-area neighborhoods have proven to be great assets to his clients. They routinely recommend him to their friends and family members, allowing Brandon to build his business largely on referrals.